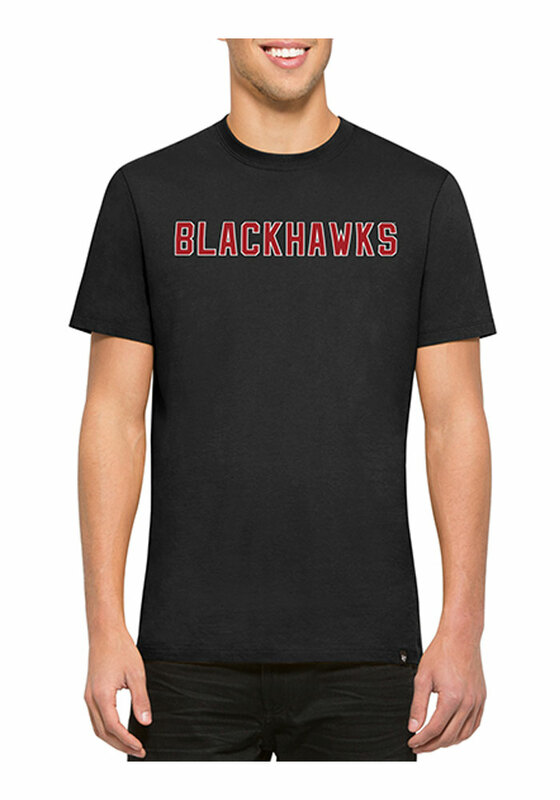 Support your Chicago Blackhawks in this Black Short Sleeve Fashion Tee! This Flanker MVP Fashion T Shirt features a athletic screen print team wordmark across center chest, athletic screen print team logo on center back. Be ready to shout "Go Blackhawks" when you wear this Chicago Blackhawks Short Sleeve Fashion T Shirt in the stadium or on the street.